Peyton Manning is standing at the crossroads of an awesome NFL football career as the clock ticks down to March 8th, a day that will live forever in the annals of NFL history. That is the deadline for the Indianapolis Colts to either pay Manning his roster bonus, which amounts to a whopping twenty-eight million dollars, or release him to the free agency market of the league. Despite his hall-of-fame career Peyton Manning is simply not the same player he was a year ago when he signed a five year, Ninety million dollar contract extension with the Colts organization. Back then it was all blue skies ahead as the Colts thought they would be stepping into at least 2 maybe 3 more Super Bowl appearances with one of the greatest players to ever lace up cleats. 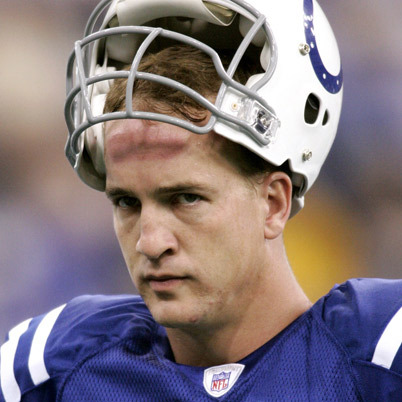 We all witnessed the disappointment as Manning went under the knife later that spring and hasn’t taken a snap since. Who can really blame Bob Irsay for being reluctant to throw good money after bad on a player who, let’s admit it, is damaged goods. Even if Manning does return to the NFL there is much speculation as to what kind of an impact he will have. Some are saying that he can’t throw to his left at all while others speculate that his lack of arm strength due to nerve damage is most likely a permanent condition. Doom and gloomers are openly calling for his retirement so that he doesn’t die on the field when his neck gets snapped from a big hit. If you talk to the Manning camp you’ll hear that he has been cleared to play by his doctors and he is looking forward to being 100% and playing again next season. Irsay and Colt’s doctors, on the other hand, have not cleared him and actually released a previously unknown report about a 4th surgery that Peyton had not disclosed to the general public. In the end this is going to be all about legacies and who will show up in the history books as the bad guy. Will Irsay be the greedy, stingy owner who rewarded years of excellence and dedication to his team by kicking Peyton to the curb? Will he be seen as a prudent businessman who made the right call in a difficult situation with a beloved player? Will Peyton Manning be exposed as a manipulating pre-madonna who tried to extort money from the Colts by taking a bogus moral high-ground or will he accept the fact that even after all he has accomplished he has to prove himself all over again.